B&E Collision has a team of experts that specialize in fleet repair for the Northeast Tennessee and Southwest Virginia area. We offer a cost effective way to keep your fleet running and representing your business in the best way possible. 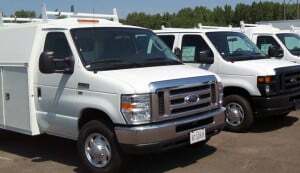 We have extensive experience in repairing fleet cars and small service vehicles. We work with companies of all sizes and can create a customized plan for your business. Call us today to find out how we can help you save time and money!